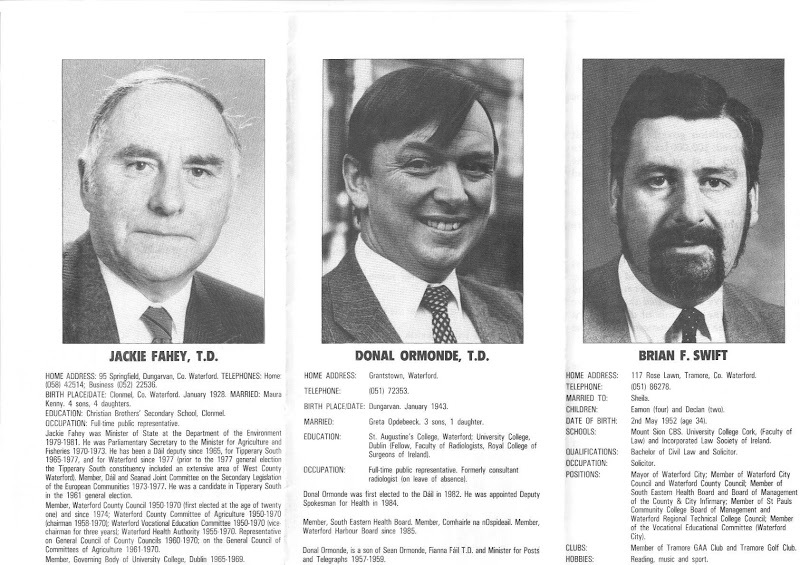 From the 1987 General Election in Waterford. 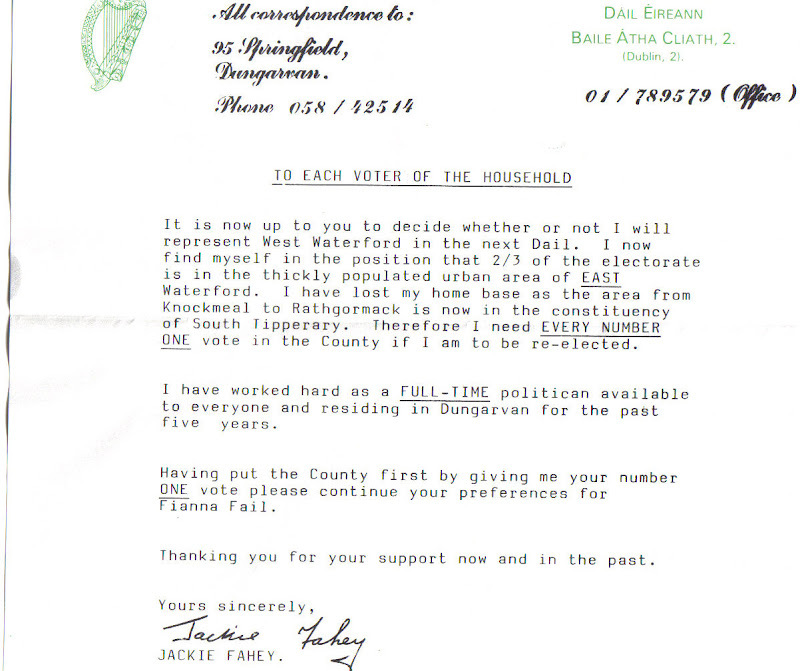 A letter from Jackie Fahey who pleads with voters to help him out after the constituency has been redrawn. Also Profiles of the 3 Candidates, Brian Swift, Donal Ormone and Jackie Fahey. Brian Swift looks as if hes listed his mundane hobbies to fill space. Faheys brithplace of Clonmel, County Waterford is still the postal address for some parts of West Waterford, such as The Nire and Ballinamult. Fahey and Swift won seats for Fianna Fail. That election also marked the election of the then PD Martin Cullen to the Dail and the defeat of Fine Gael TD Eddie Collins who had held a seat since 1969.